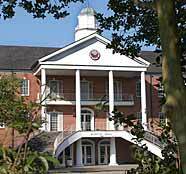 A new baccalaureate program in Moving Image Arts will be offered at the University of Louisiana at Lafayette. The Moving Image Arts program is designed to provide a thorough study of the production and uses of moving imagery, usually accompanied by sound, as a means of creative communication and artistic expression. Leading to a Bachelor of Arts degree, the program will regard a wide spectrum of cinematic arts and prepare students for a variety of creative professions. Graduates of the Moving Image Arts program at UL Lafayette would be thoroughly qualified for careers in businesses and institutions throughout Louisiana’s vibrant cultural economy. This includes especially—but not exclusively—careers in the state’s growing entertainment industries, where workforce demands are particularly acute. An interdisciplinary program, the Moving Image Arts curriculum draws upon existing courses, faculty, and equipment resources to carry out its mission. Because of this, the university incurs no new costs in implementing the program. Students will enroll in diverse courses from different departments, such as “Single Camera Production and Editing” in Communications, “Screenwriting” in English, and “Introduction to Animation” in Visual Arts, as well as a number of courses in Business. Louisiana is ranked third in domestic film production, behind only California and New York. Workforce demands in this industry played a large role in why the university received approval for the new major. Those interested in learning more about the new program are encouraged to contact Professor Charles E. Richard at cerichard@louisiana.edu.